The first day has exceeded all expectations. With the help from community the labyrinth has been completely laid out with four parts of it already distinctly showing their different characters. 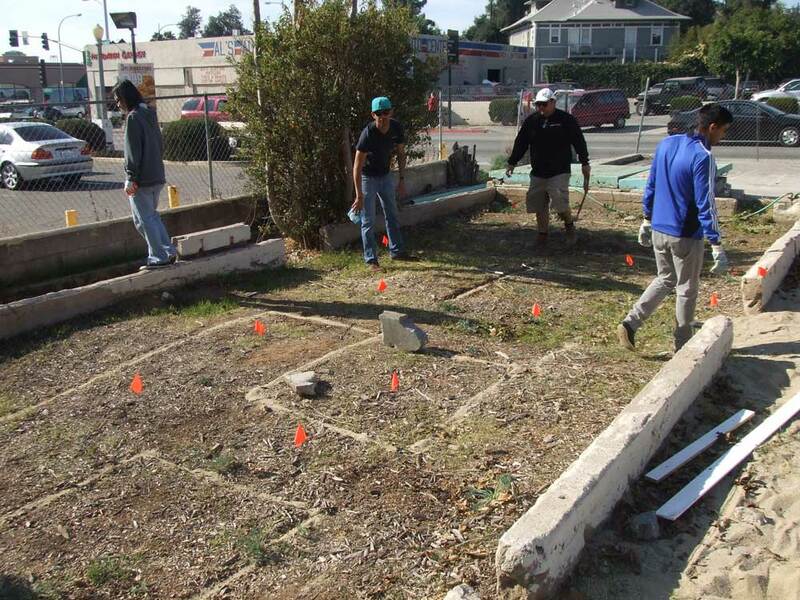 The labyrinth starts from existing concrete foundation, runs behind the trailers, turns into planter beds (future grass walls) and ends in the area where future mounds and adobe huts will be constructed. 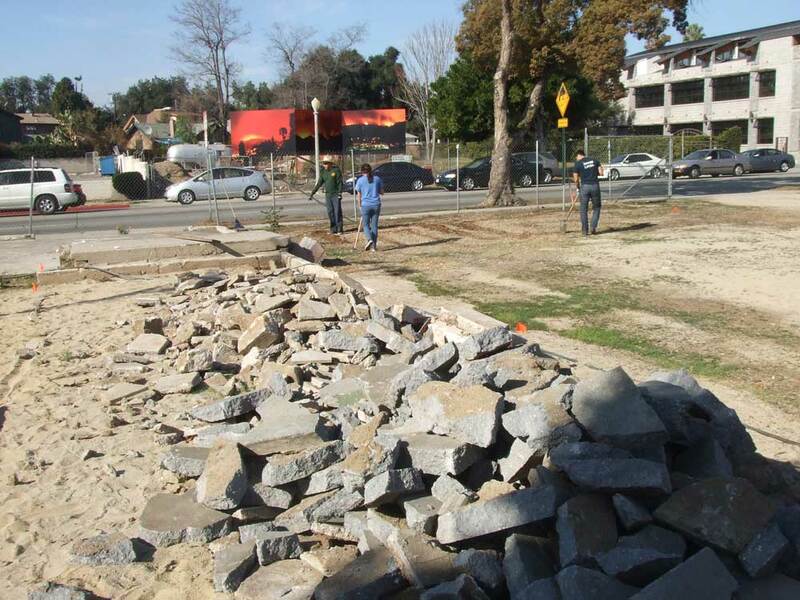 The labyrinth starts at the old building foundation. A large group of Cal Poly Pomona landscape architecture 1st and 2nd year undergraduate students with their professor Rennie Tang came to help this day. Some of the students took a lead laying out front and behind-the-trailers portions of the labyrinth. Another group of students were cleaning up, weeding and grading a soon-to-be grasses and wildflowers area. Students are figuring out the layout. 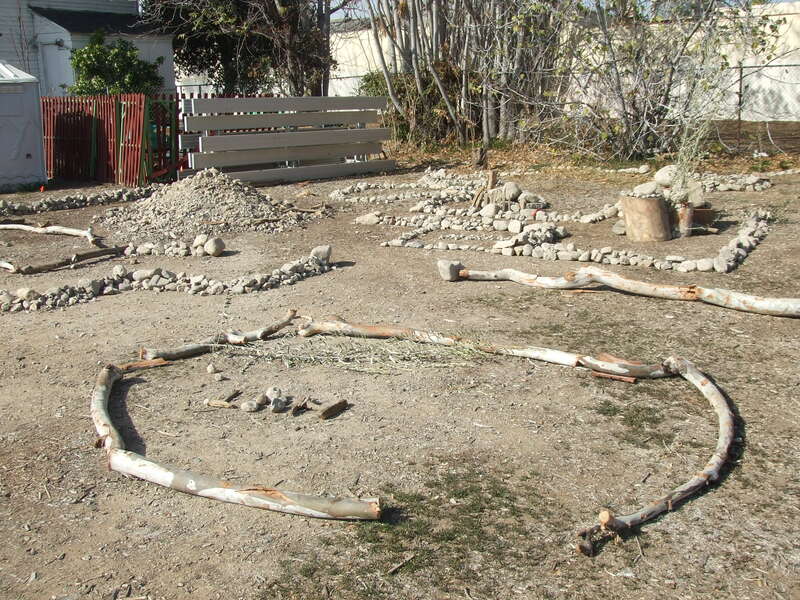 Children were using small rocks for drawing in the back area, designating spots for huts and mounds. And then they built a sculpture! Huts and mounds will rise here. 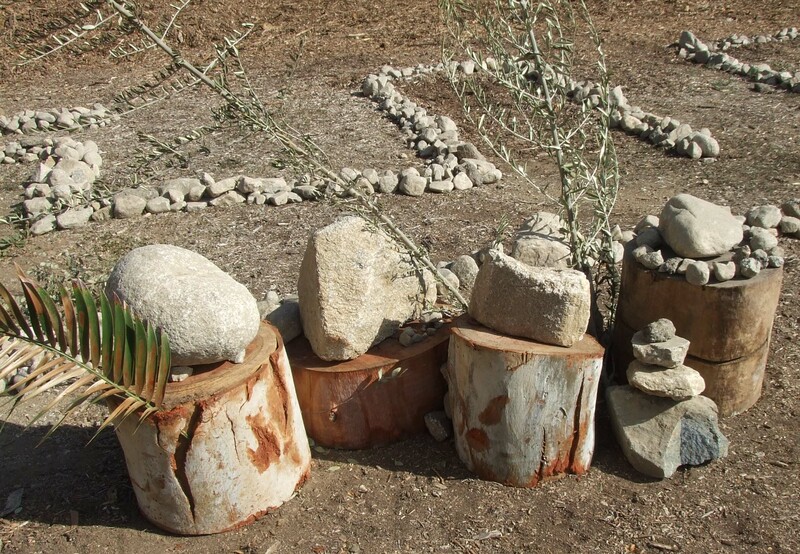 This entry was tagged children, community art, community design, labyrinth, landscape architecture, Pasadena. Bookmark the permalink. ← Create your landscape, play and meet friends!